Devon EMS Ambulance & First Aid Services - DEMS - What We DoCommission Event Medical Services on behalf of Event Organisers.Clinical Governance - We set and monitor clinical standards as part of an Internal Quality Assurance Process for our Service Providers to follow.We train the staff/volunteers of our service providers, in addition to teaching community and workplace frst aid. Our Training Services Unit is subject to internal quality assurance, and external quality assurance through Highfield Qualifications.We support our Service Providers with the provision of vehicles and equipment. DEVON EMS-AMBFAS WHAT WE DO Provide an Event Medical Service as commissioned by DEMS on behalf of Event Organisers.Provide a CQC Registered Event Ambulance Service to non-registered providers.Work with and support external event medical providers as requested.Seek to develop joint-venture networking arrangments with external event medical providers.Provide a limited Patient Transfer Service.We are subject to Internal Quality Assurance from DEMS and external Quality Assurance by the CQC as a CQC Registered Provider. Commission Event Medical Services on behalf of Event Organisers. Clinical Governance - We set and monitor clinical standards as part of an Internal Quality Assurance Process for our Service Providers to follow. We train the staff/volunteers of our service providers, in addition to teaching community and workplace frst aid. Our Training Services Unit is subject to internal quality assurance, and external quality assurance through Highfield Qualifications. We support our Service Providers with the provision of vehicles and equipment. Provide an Event Medical Service as commissioned by DEMS on behalf of Event Organisers. 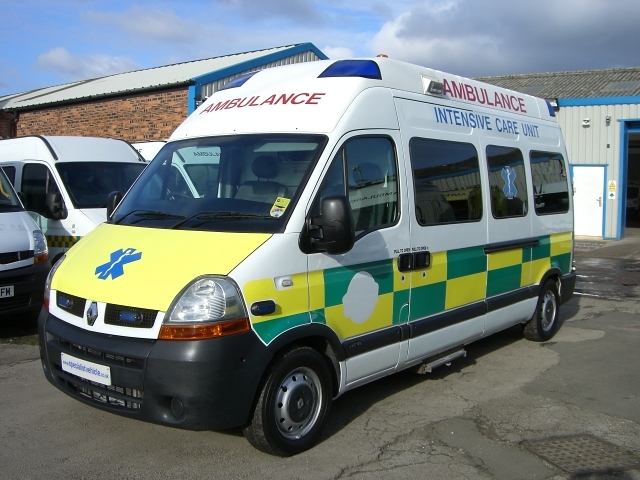 Provide a CQC Registered Event Ambulance Service to non-registered providers. Work with and support external event medical providers as requested. Seek to develop joint-venture networking arrangments with external event medical providers. Provide a limited Patient Transfer Service. We are subject to Internal Quality Assurance from DEMS and external Quality Assurance by the CQC as a CQC Registered Provider. To actively promote voluntary pre-hospital care via our Community Groups and to become a market leader within the first aid sector. To provide a reliable cost effective service actively engaging with our customers to provide a personal and professional experience. Most of our service provision is undertaken by our Volunteer Members who enjoy what they do and get a great deal of satisfaction in being part of a great team just being there to help whenever and wherever they can. You can volunteer to be part of one of our Clinical Teams providing direct patient care at various events or as a member of one of our Non Clinical Support Teams. To express an interest click on the titles, complete an on-line form and submit we will then forward more information on roles which may suit you. Or to arrange an informal chat just send an e.mail or simply call us. Training for most roles is provided internally free of charge.